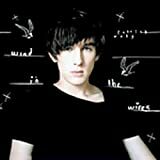 Patrick Wolf Albums, Songs, Lyrics And More at SongMeanings! 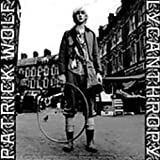 Violinist/singer/songwriter Patrick Wolf began experimenting with sound at the age of 11. While his peers were exploring the frivolity of youth, the precocious preteen was dabbling in four-track recording, eventually building an arsenal of instruments that included junk-shop organs and a home-built theremin. At the age of 14 he joined the pop art collective Minty, a venture that caught the eyes and ears of Fat Cat Records, which went on to supply the youth with a computer and mixing tools for aid in his newfound audio experimentation. He left home at the age of 16 and formed Maison Crimineaux, which eventually found its way to France, where the noisy duo played a show attended by electronic maestro Kristian Robinson (aka Capitol K), who went on to release Wolf's lauded 2003 debut. With Lycanthropy reaching number 39 in NME's top LPs of the year, as well as receiving critical acclaim throughout Europe and America, Wolf decided to study composition at the Trinity College Music Conservatoire. The results of that endeavor can be heard on his 2005 release, Wind in the Wires, a dark collection of moody British folk and chamber pop with a chilly laptop sheen. Wolf returned in 2007 with the colorful and eclectic Magic Position, and again in 2009 with the similarly themed Bachelor, both of which brought the artist near universal critical acclaim.